Sheikh Ghassan Manasra is ordained as a Sheikh in the Qadriyya-as-Salaam Sufi Order of the Holy Land, and is a successor of Sheikh Muhammad Hashem al-Baghdadi, the late Grand Sheikh of Qadriyya of the Middle East. 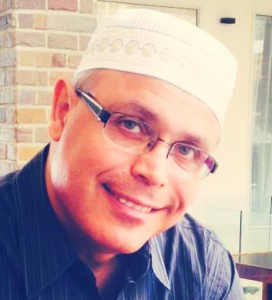 The International Ambassador for the Abrahamic Reunion, Sheikh Ghassan has been a professional peacemaker in Israel / Palestine for 35 years, founding several peacebuilding organizations and risking his life time and again to stand with his brothers and sisters of all faiths for peace and friendship. 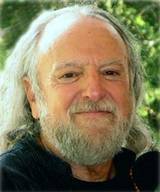 David Shahabuddin Less has taught meditation, conflict resolution, and interfaith dialogue for over 40 years. For the last decade, he has been the vice president of the Universal Worship, an organization in over 30 countries that honours the commonality in all religions and respects their differences. He promotes understanding instead of blame as a path to peace in the Holy Land via the Abrahamic Reunion, an international, interfaith peacemaking nonprofit he helped cofound in 2004. 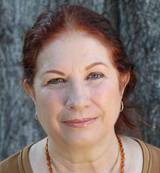 Dr. Anna Less, PhD, cofounded the Abrahamic Reunion in 2004; she is a peacemaker, speaker, presenter, and the organisation’s international codirector. As a young woman, Anna realized her life’s work would center on healing, as well as bringing harmony and balance to both individuals and communities. Rabbi Mordechai Zeller is a passionate educator, storyteller as well as a clinical psychologist. He currently serves as the Rabbi and Chaplain at Cambridge University where he resides with his wife and three children. Mordechai was a close disciple of Rabbi Menachem Fruman, learning from him the delicate art of interfaith-based peace work. 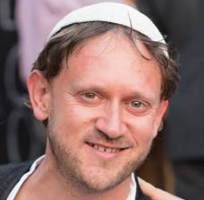 Mordechai enjoys both studying and teaching Jewish mysticism, Hebrew mythology and teachings of Hassidism, and has been working with Abrahamic Reunions for many years, in both Israel and the United Kingdom. Michael Macy has been fascinated with different cultures for many years. He is a professional diplomat, and recently completed a year in Afghanistan. He is currently the Cultural Attaché at the American Embassy in London and director of the Office of Counter terrorism and Countering Violent Extremism at the U.S. Department of State Embassy of the United States, in Tunisia. A member of the Senior Foreign Service, U.S. Department State, with experience in strategic communications planning, management, diplomacy, project design and implementation and cross-cultural communications. He was responsible for opening the office of the Bureau of Counter terrorism and Countering Violent Extremism office in Tunisia. His prior assignments include Mali, Malta, and Saudi Arabia. He was a student of the late Pir Vilayet Inayat Khan for twenty-five years, and has spent time among the Sufis of Istanbul, Mali and Afghanistan, Milwaukee and Madison. Ann Marie Terry is an accredited Integrative Counsellor and Psychotherapist with a practice in Deal in Kent. She has 19 years of experience in psychotherapy, counselling and bodywork to create a unique holistic therapeutic model. She uses her experience to advise the Abrahamic Reunion England on the best way to achieve its objectives.